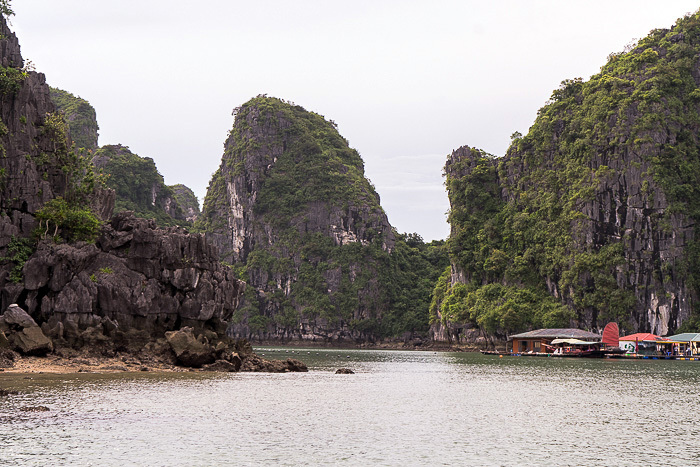 After settling into our room aboard the Dragon Legend, we had lunch and then took a couple short excursions. 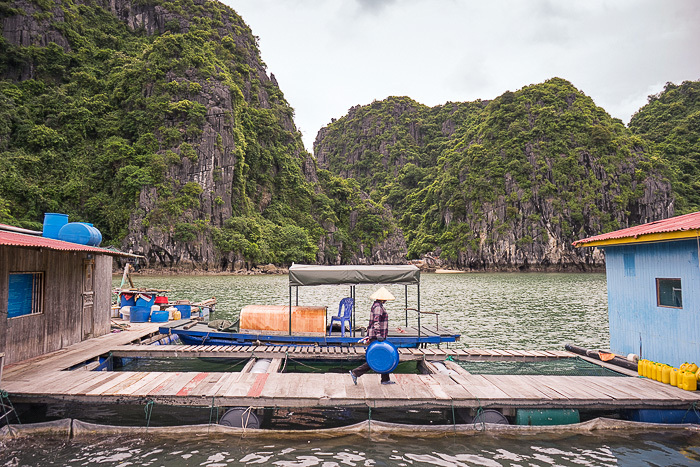 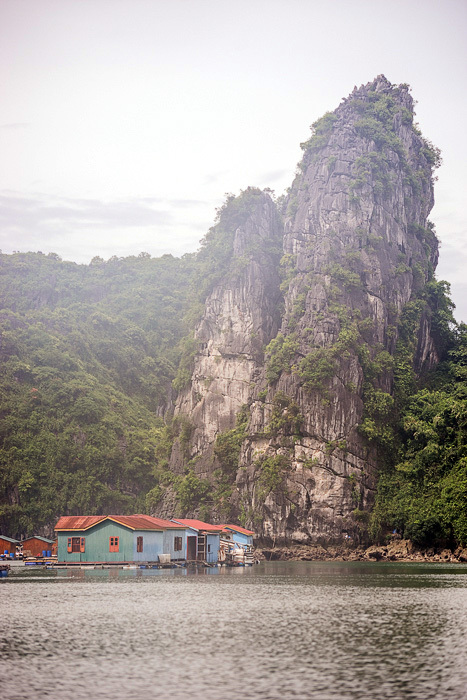 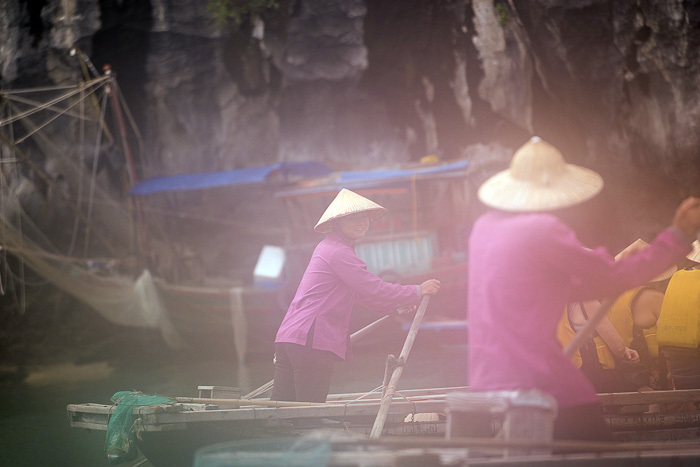 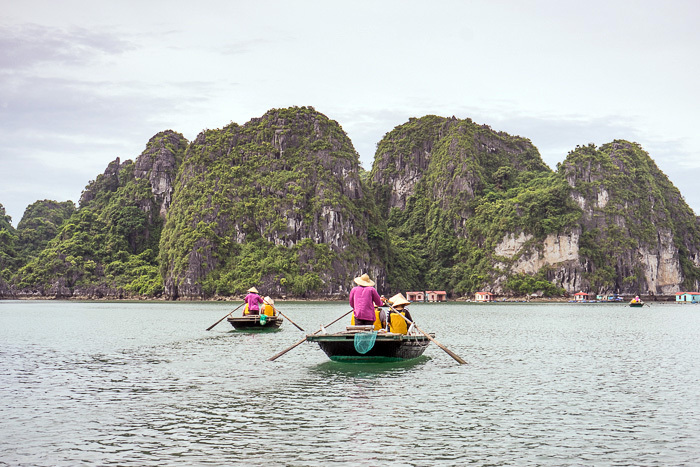 The first would be a sightseeing trip on a small jetty between the limestone hills, while the second would take us to one of Ha Long’s oldest floating fishing villages. 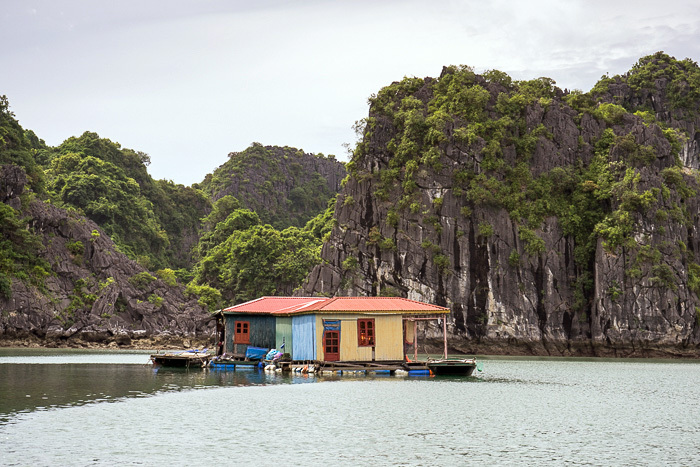 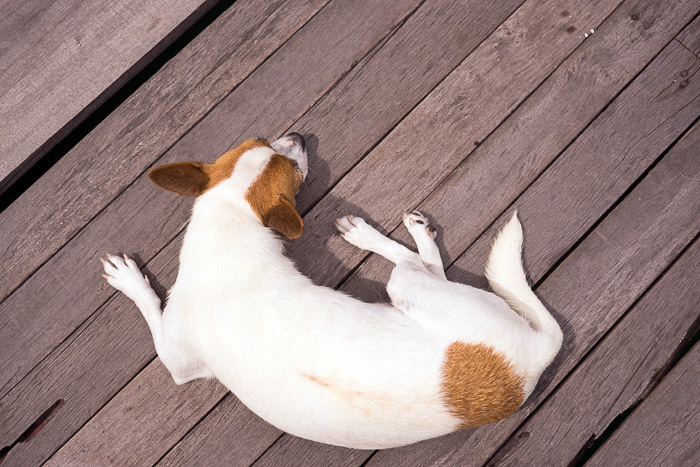 Humans might not live on the islands, but they do live around them. 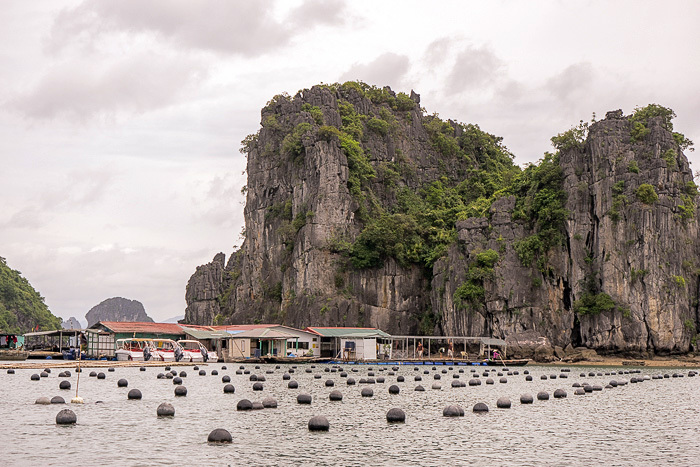 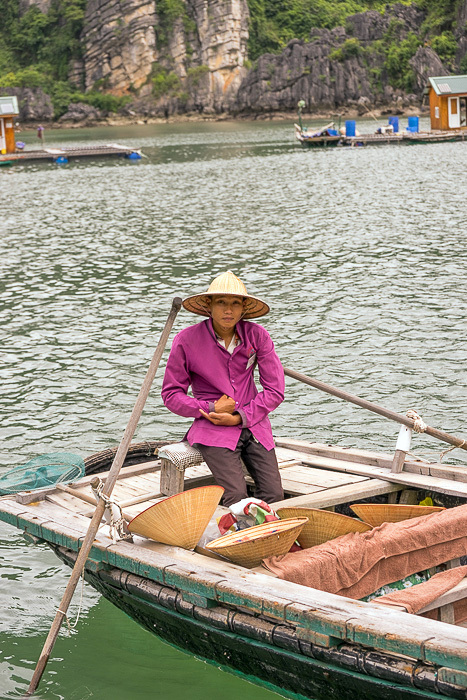 There are about seven floating fishing villages in Ha Long Bay, the oldest and largest of which is Vung Vieng, the destination of our second excursion of the day. 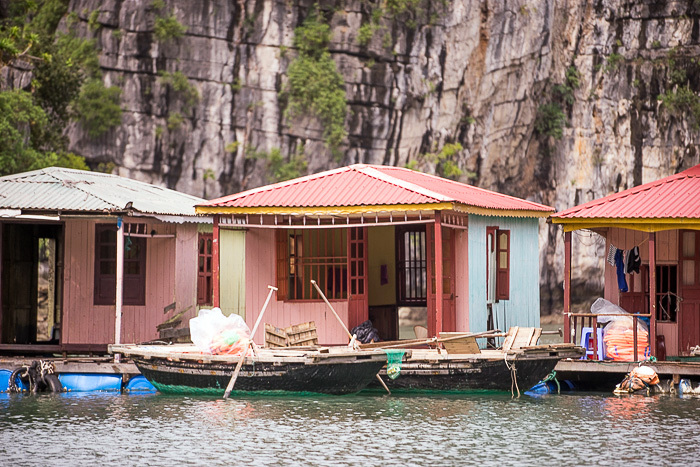 I was surprised by how modern Vung Vieng appeared to be. 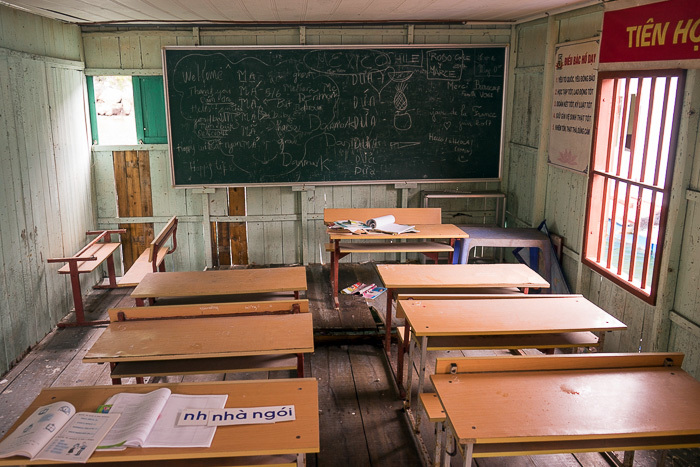 The houses looked newly built, and a few of them were even outfitted with solar panels. 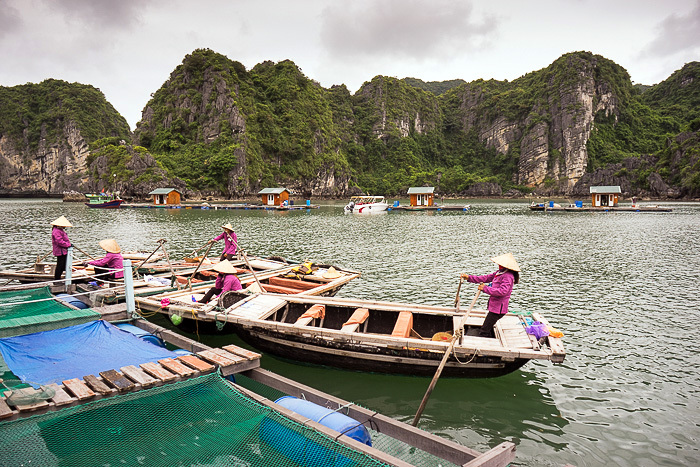 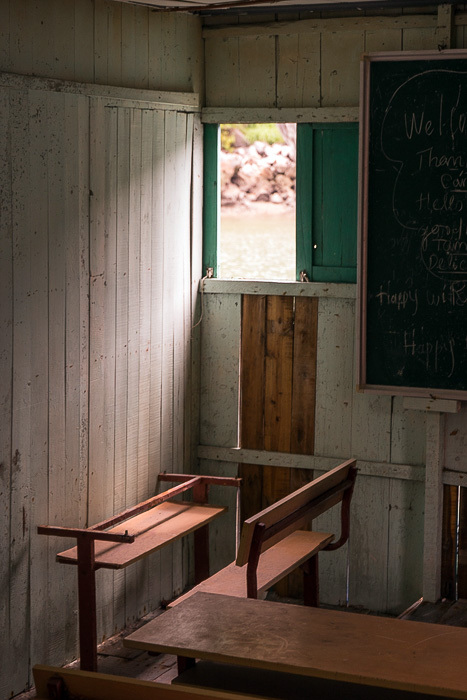 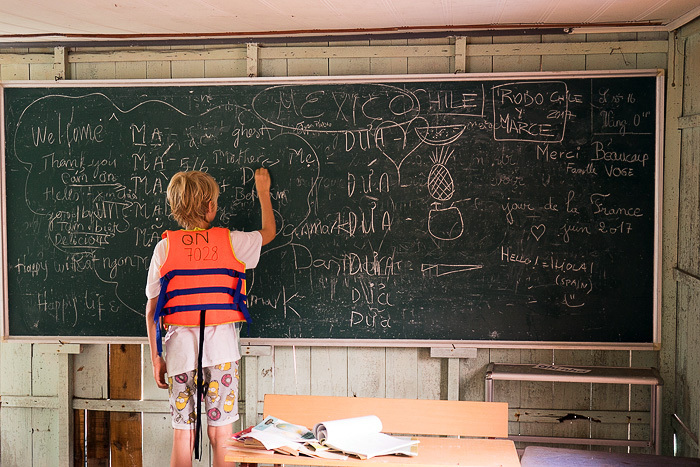 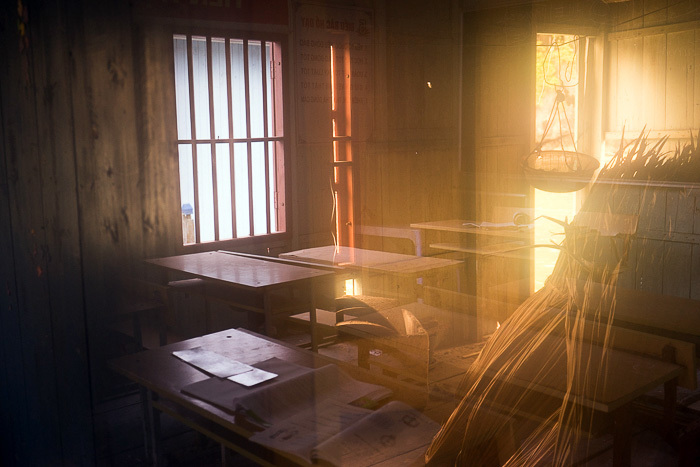 The fish farms were arranged in a clean line across from the dwellings, next to the floating classroom. 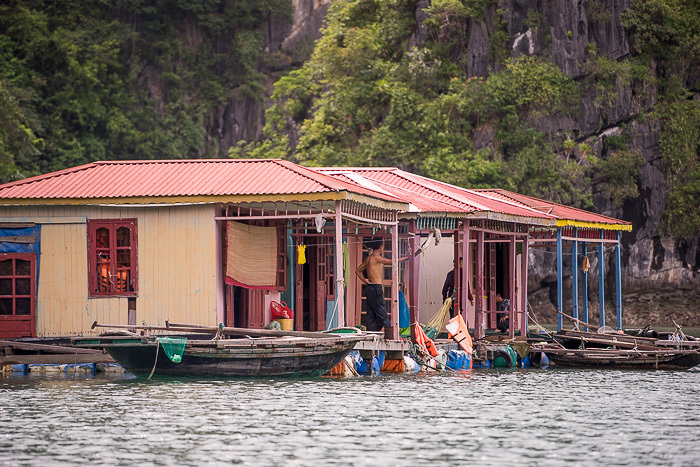 It was all very tidy, and just not at all fitting with the mental image that “Floating Vietnamese Fisher Village” might conjure. 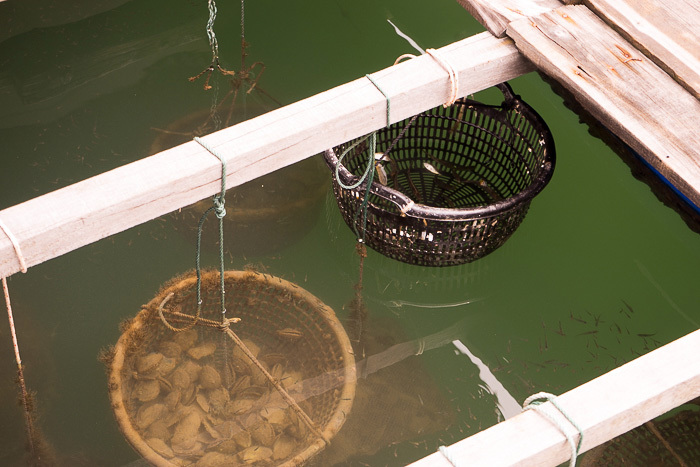 We disembarked on the farm platforms, and saw the fish flopping around inside their cages. 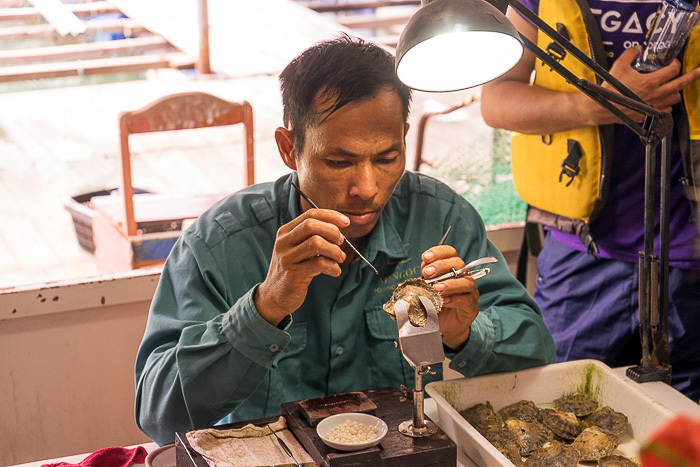 Then, we were given a quick introduction to the process of pearl harvesting. 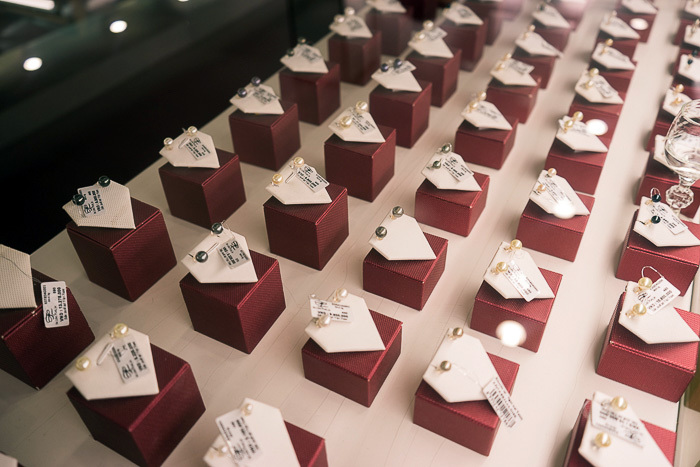 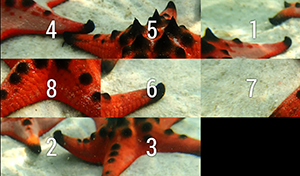 They opened an oyster before our eyes, and it happened to be one which was hiding a pearl. 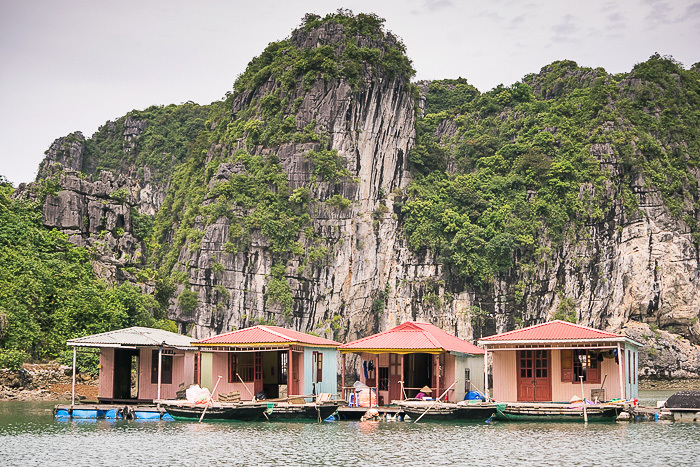 Tour boats arrive regularly in Vung Vieng, and I’m sure the majority of the village’s economy is driven by tourism, so visiting the village was not exactly the most “authentic” experience. 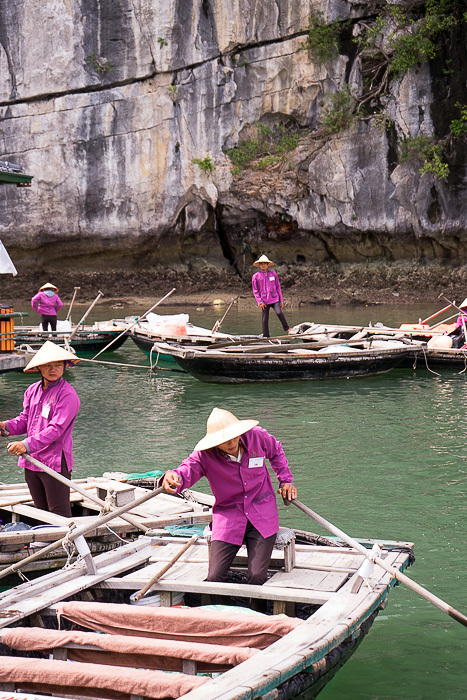 But it was still fascinating to see this historic community 24 kilometers from shore. 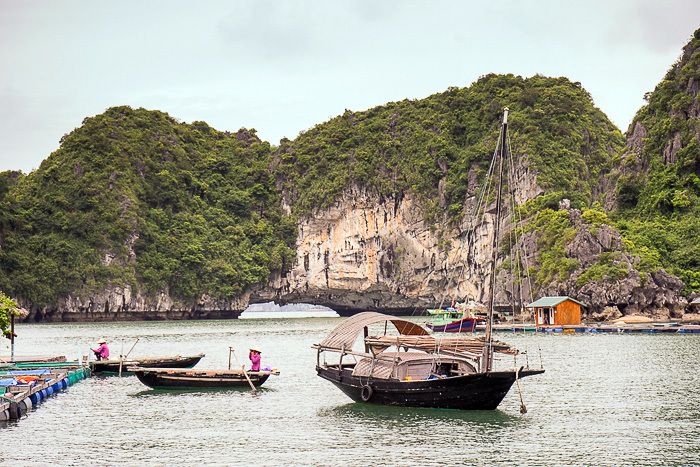 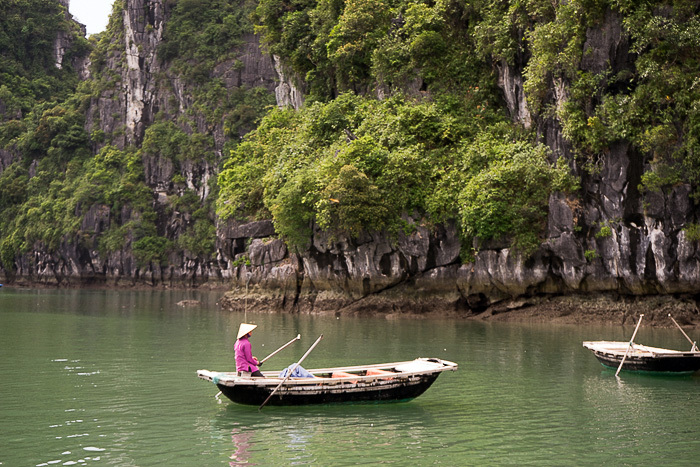 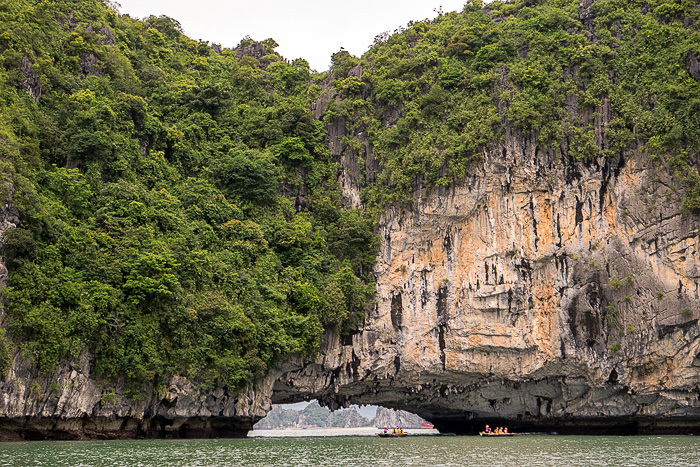 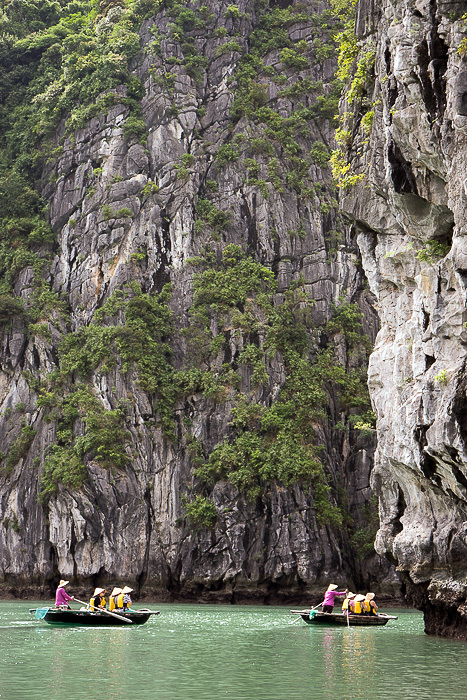 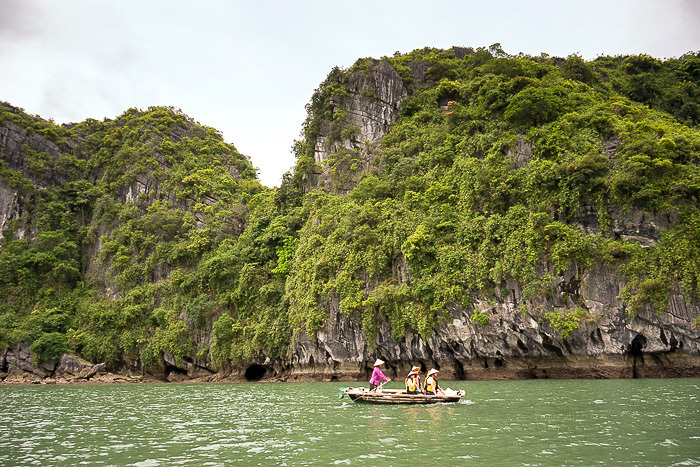 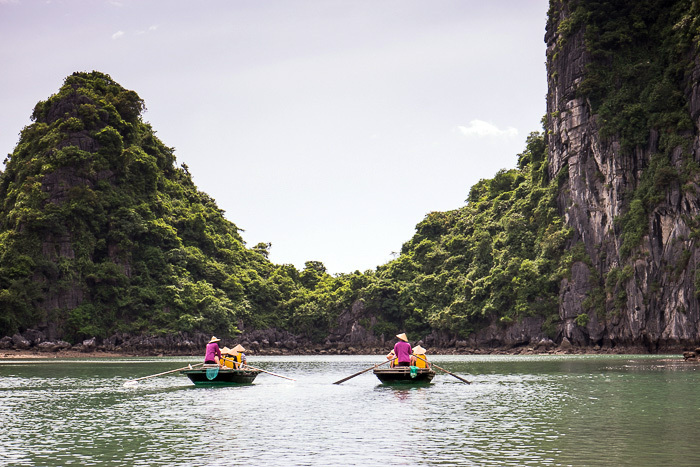 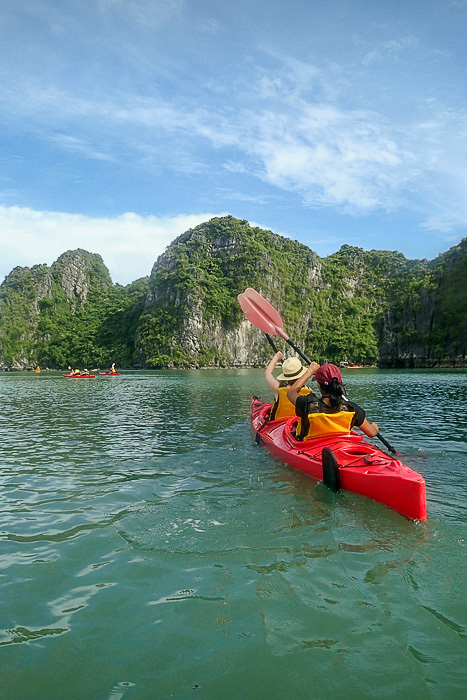 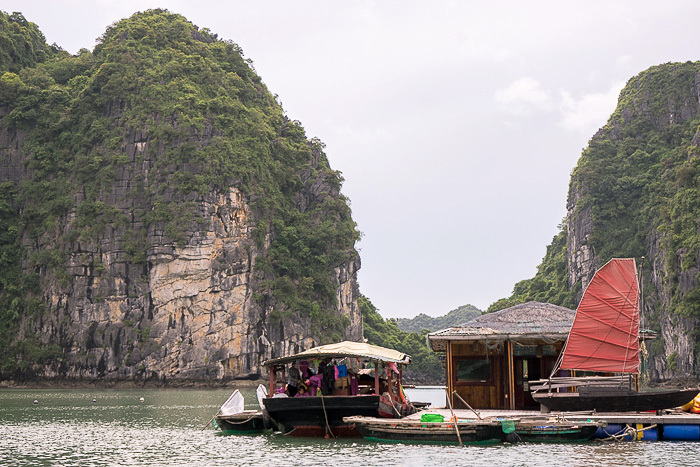 These two little tours provided an excellent introduction to Bai Tu Long Bay. 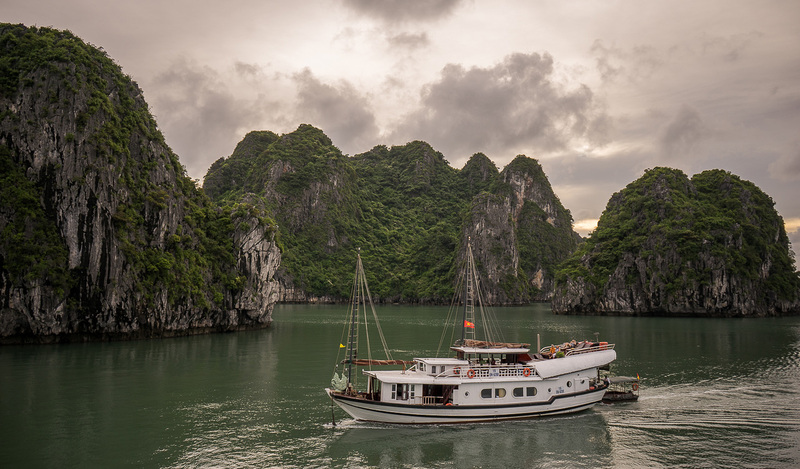 After swimming in the lukewarm water of the bay, we showered and retired onto the deck of the Dragon Legend. 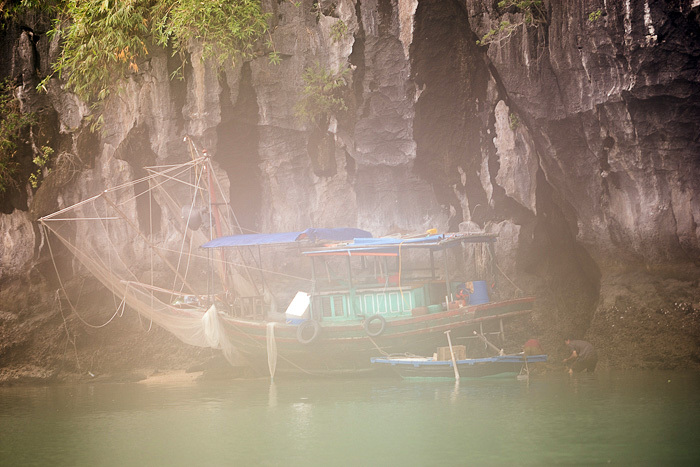 Our trip was off to a fantastic start, and we still had a lot to look forward to.